The main attraction of buying a previously owned designer handbag, as opposed to a brand new one, is you can get the hottest luxury styles for less. Whether you're looking for Michael Kors or Chanel, finding a second-hand designer bag is easy if you know where to look. Material quality - If the bag's exterior is supposed to be leather, then it should feel and smell like leather. Stitching - Check the stitching. If it's unraveling, uneven, or slanted, then it might not be a designer handbag. Logo - Look at the logo closely. You can tell by the detailing if the bag is fake. Lining - If the quality is poor and the color is off, it's definitely not the real deal. Pockets - Check the craftsmanship of the handbag for any errors. For example, if the style has a particular number of pockets involved, make sure you can count the pockets on the bag to make sure they're all there. Hardware - Make sure any hardware on your bag is solid instead of hollow and check to see if the colors seem off in any way. Zippers and fastenings - Test the bag's fastening to make sure it does its job correctly. When it comes to zippers, a high-quality designer version will pull smoothly with equal tension throughout. Inner label - There should be a centered logo, a hologram, and a serial number in the correct sequence on the bag's label, otherwise it's a counterfeit. Packaging - Designer handbags usually come with a high-quality fabric protective cover. If there's not one included, or if there's translucent plastic covering the handles or wrapped around the bag, then it's probably a fake. There are numerous online stores that sell authentic second-hand designer bags in abundance. One of the largest players in the pre-loved designer handbag game, Vestiaire Collective is a French company that has been on the fashion scene since 2009. Vestiaire Collective features an extensive collection of 600,000 designer items for men, women, and kids categorized into clothing, footwear, accessories, and homeware. Their handbag selection includes everything from timeless classics by Dior to seasonal luxury staples by Alexander Wang. Vestiaire Collective handbags are expertly checked for 100 percent quality and authenticity. If you're searching for a particular style, the good news is you can set up mail alerts with the company to let you know if it has been listed. Established in 2012, Tradesy offers consumers the opportunity to sell designer styles they own and buy new ones they want, making the resale process fast, simple, and stylish for everybody involved. Tradesy is an advocate for sustainable consumption, providing pre-loved designer clothing, footwear, and accessories for women. When it comes to designer handbags, Tradesy has a diverse offering from Louis Vuitton weekenders to Gucci crossbody styles. The company also have a 100 percent authenticity promise or your money back. Tradesy's team of experts personally review every item sent in and, if your bag was misrepresented, you will receive a full refund. Founded in 1999, Fashionphile prides itself on being one of the leading and most trusted sources of luxury handbags in the secondary market. Fashionphile specialize in second-hand luxury accessories such as handbags, leathers, and jewelry for women. Their website features numerous designer bags by fashion powerhouses such as Burberry, Celine, Alexander McQueen, and Balenciaga. From pre-owned vintage to rare and limited edition bags, each item goes through a strict evaluation procedure by skilled experts to guarantee 100 percent authenticity. Selling both online and offline since 2014, Rebag has a mission to democratize luxury and make resale seamless. Rebag buys pre-loved designer handbags from people based in the US, as well as professional sellers around the globe. They have an impressive selection of handbags by top designer names such as Chanel, Gucci, and Valentino. Rebag aims to achieve full transparency at every stage of the resale process. All shipments and pick-ups are tracked and insured and when items are received, they're examined by an in-house team to ensure authenticity before being listed on the website. 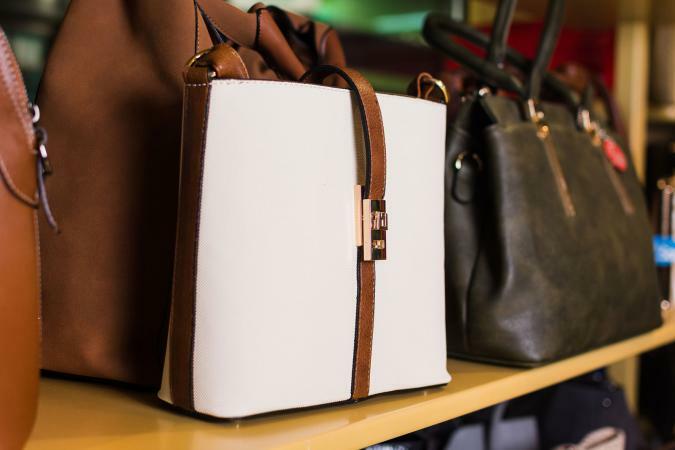 Purchasing genuine, previously owned designer handbags is straightforward if you follow guidelines on how to spot a fake bag and buy from a trusted seller. Whether it's a specific style or designer you're looking for, you're guaranteed to locate your perfect bag if you take the time to shop around.